Sri Lanka, home to four major religions, deserves its reputation for diversity. We explore four well-known religious sites across the island where communities find spiritual sanctuary. 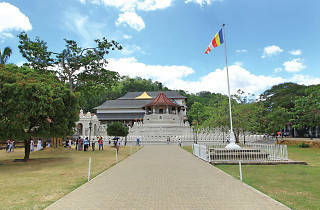 The Dalada Maligawa or the Sacred Tooth Relic Temple in Kandy, can be regarded as the most significant Buddhist places of worship in the country. The Temple shelters a left canine of the Buddha protected in a golden relic casket deposited at the Shrine of Abode (Vedahiti Maligawa). Buddhists liken the Sacred Relic to a living Buddha and as a result is held in utmost reverence. 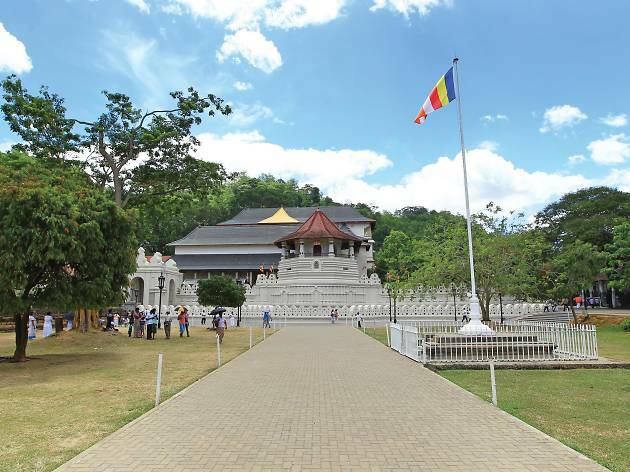 Considered a symbol of sovereignty for centuries, the Sacred Relic has received state protection and obeisance for centuries past since its arrival in Kandy. The origins of the Sacred Relic can be traced to India where following the passing of the Buddha the corporeal remains were distributed for worship across the states. The relic was smuggled into Sri Lanka in 310 AD for its protection and following a long journey and various places of abode, finally found refuge in Kandy the last Kingdom of the Island. 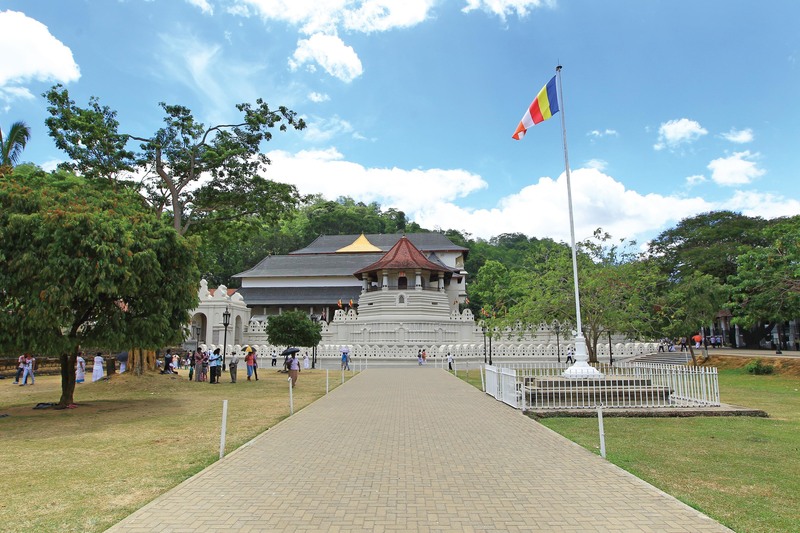 It is due in part to this historical context and importance of the Dalada Maligawa, which is a part of the Royal Palace Complex that Kandy earns its place as a heritage city. 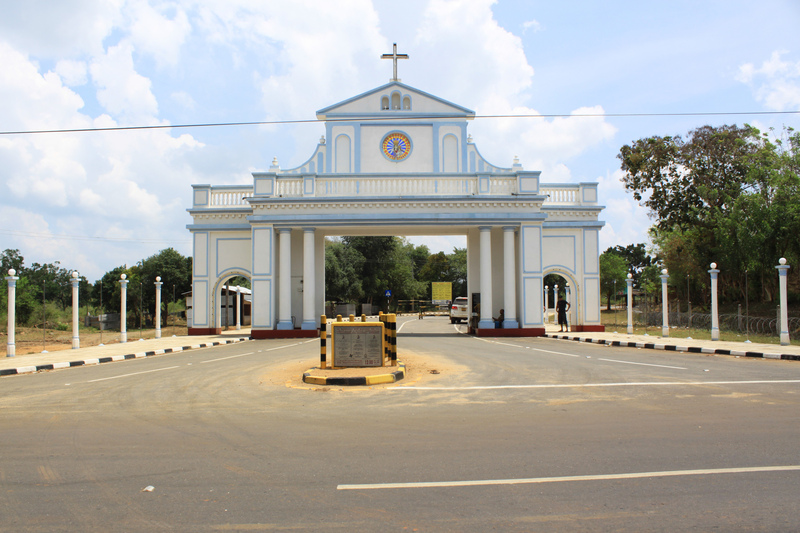 The octagonal Paththirippuwa is a striking feature visible from a distance, which was added during the time of King Sri Wickrama Rajasinghe. Throughout the year, devotees flock to the upper floor of the temple to pay homage and catch a glimpse of the golden casket. The upper floor designed with 26 carved pillars, maintains its original structure built during the reign of King Narendrasinghe. Visitors and devotees can hear the ceremonial drums being played during the rituals, conducted three times a day by the monks and the lay custodians. A special ritual of bathing the casket is conducted every Wednesday called the Nanu Mura Mangalya. These rituals performed to the letter are said to be 2,000 years old. There are many sites of historical importance to visit and observe around the temple complex aside from the religious and spiritual. These include the beautiful Kandyan period murals along the walls and ceilings of the ground floor and passageway, and the Audience Hall located away from the complex and the museum, which preserves the remains of the legendary Tusker Raja. 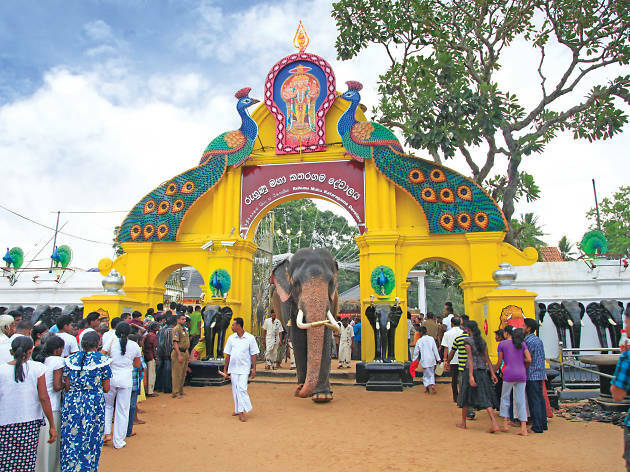 The annual pageant of the Dalada Maligawa is held during the month of August when the Sacred Relic parades the streets on the back of the Temple’s Tusker. 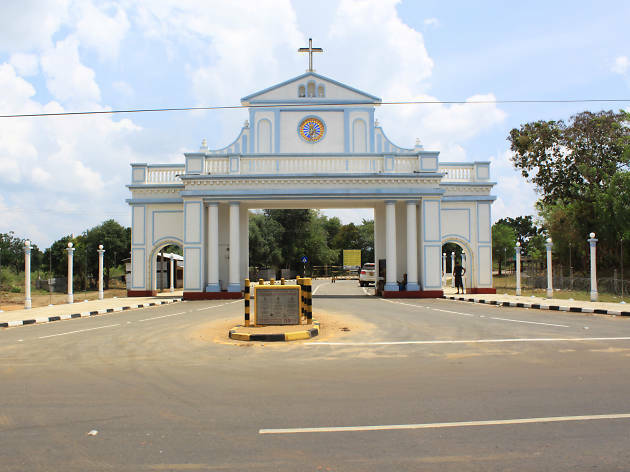 Kataragama in the South-east of the Island is regarded a sacred city and is busiest during the season of pilgrimage in the month of July or August along with the festivities held to venerate God Kataragama. The history and origins the city’s beliefs date back centuries. It is believed that the Deity descended to this region from India to seek his consort Valli Amman and following the success of his search with the help of his brother Lord Ganesh, Kataragama became his main abode. The pooja nagaraya or the sacred city lies along the Menik River. While devotees flock to the site during the festival season, the site draw visitors throughout the year to worship at the Maha Devale or the main shrine. Significantly, people of various faiths pay obeisance to the deity. Hindus refer to the deity as Skanda – the God of War, Lord Murugan, Kadirkamam, Subramanya, or Kandasamy. During festivities people from all corners of the Island arrive and the grounds surrounding the Shrine turns into a campsite. You can witness a sea of heads in the Menik River prior to the festivities as devotees observe a cleansing ritual prior to religious observances. 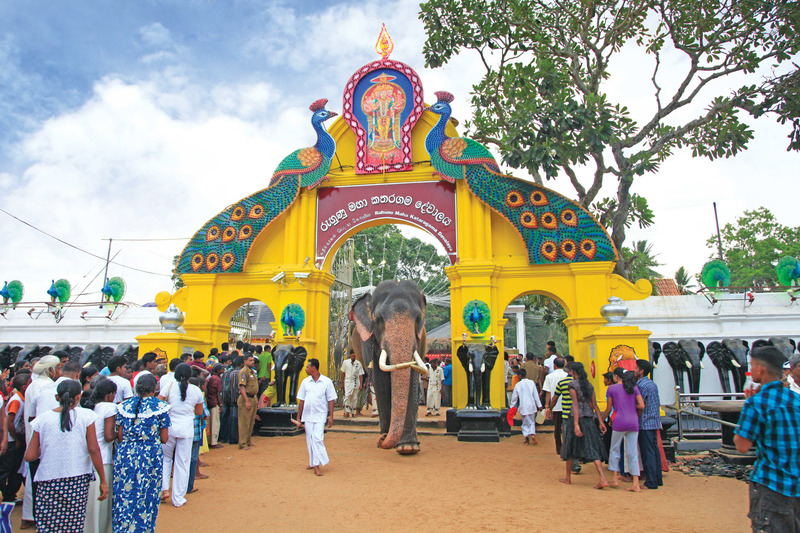 Elephants and tuskers are lined at the temple premises in preparation of the pageant that takes place in the evening. Stalls line the streets selling offerings to make at the shrine, and there are many who arrive here on a foot pilgrimage all the way from the north of the Island, that lasts for a period of many months. Buddhists often visit the Kiri Vehera, a stupa adjacent to the Shrine that dates back to the 2nd Century. The precincts are also home to a mosque where devotees pay homage to the saint, al-Khizr, in a flag-hoisting ceremony. One of the huge draws of the festivities is the fire walking spectacle that takes place late in the night. The faithful brave the bed of hot embers as they run across barefoot as a show of their faith in God Kataragama! This occurs after the conclusion of the pageant. The tusker accompanied by the procession carries the Relic Casket to the Valli Amman kovil and returns it back to the Maha Devale or Main Shrine amidst cries of ‘Haro Haro’ from the spectators. The Red Mosque or Al Jamiul Alfar Masjid is one that lends itself to the largest congregation of prayer in Sri Lanka. 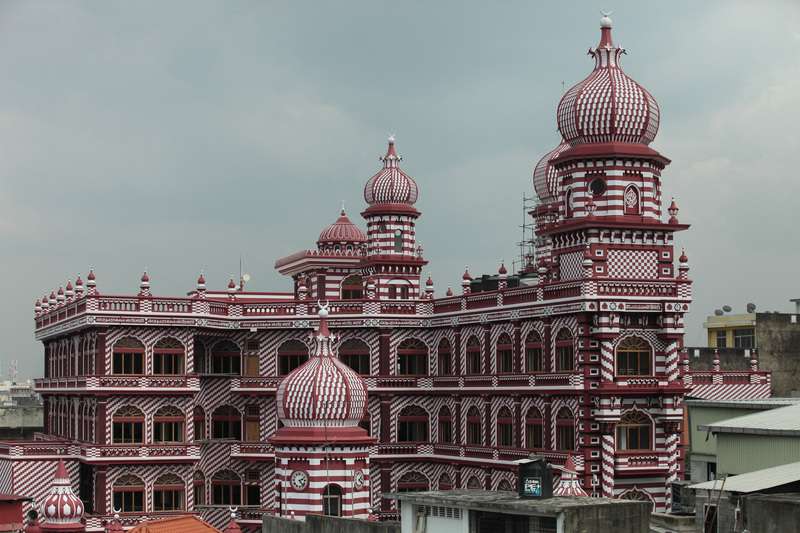 The Red Masjid is also known as Kottu Palli in Tamil and Rathu Palliya in Sinhala and is located in the heart of dense activity in the business precincts of Pettah. The need for a common place to conduct prayer five times a day saw the initiation of the Mosque in 1908 by Muslim forefathers from India. Although built with a capacity for a congregation of 1,500 people the number attending prayer at the time was only around 500. By the 70s the numbers had grown and space became a constraint leading to expansions. Today the numbers have swelled so much so that in particular for Jummah prayers 5,000 devotees attend. On regular work days around 2,000 congregate for Jammath prayer while 3,000 arrive during Ramazan days. The Red Mosque is a striking and iconic landmark in the area and is recognised for its architecture in particular the colonial structural detailing and the vibrant red colour. 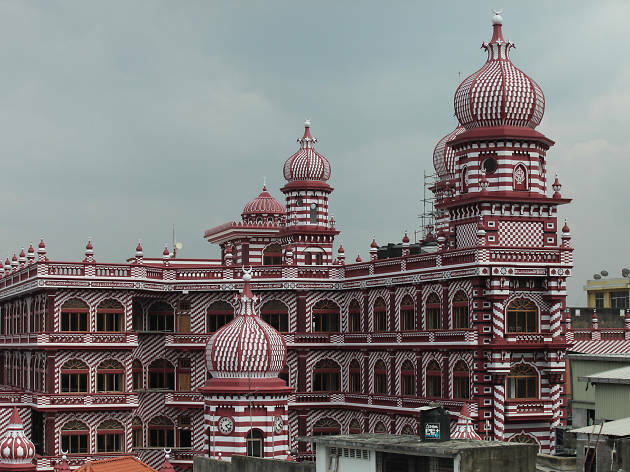 Its façade comprises of extensive intricate details ornamented entirely in red and white stripes that sets it apart in the business district and attracts tourists who admire its structural attributes. The Mosque underwent further refurbishment in the recent past to extend the red and white feature to its interiors as well and there are more plans for expansion to possibly accommodate up to 10,000 devotees.